Tourists travelling to Vietnam from the US, Canada, Australia and New Zealand will no longer have to pay excessively high visa fees if the recommendations of a working group are adopted. Tourists from these countries would be able to apply online and then receive the green light within a few days to travel to Vietnam and obtain their visa free of charge at an airport on arrival. 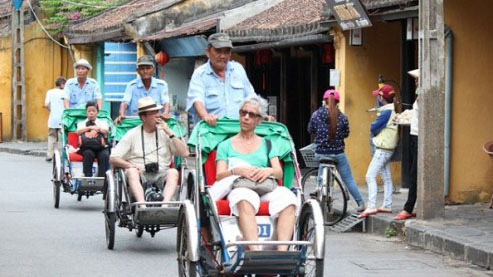 This scheme would be a dream come true for the entire tourism industry and is bound to positively impact the economy, said Ken Atkinson, a member of the Vietnam Business Forum Working Group for Hospitality and Tourism. The government’s objective is to boost tourism and implementing this type of scheme would send out a clear message that the nation is serious about making travel to the country easy and less expensive. A report released by the working group on June 9, said that travelers can book a hotel in Bangkok for two nights for the same amount of money Vietnam charges for a visa, which effectively deters tourism. Despite its cultural attractions, beaches and mountains, tourism has been dwindling over recent months to only a fraction of those who go to popular Asian destinations like Thailand, Cambodia, Indonesia and Malaysia. This facility would be available to foreigners whose sole objective of visiting Vietnam is recreation, sightseeing, short duration medical treatment or casual business visit— and not valid for any other purpose or activities. At present, Vietnam has a similar scheme in place for citizens of ASEAN nations and travelers from Japan, Russia, the Republic of Korea (RoK) and four Northern European nations.